Wow, ONLY 7 days now until our #VAVS event goes LIVE! I am super excited to host this online conference yet crazy busy trying to get ready for it too! You couldn’t even imagine what goes on behind the scenes to put an event like this in place. 😉 AND, if that wasn’t enough on my platter this week guess what I volunteered to do? 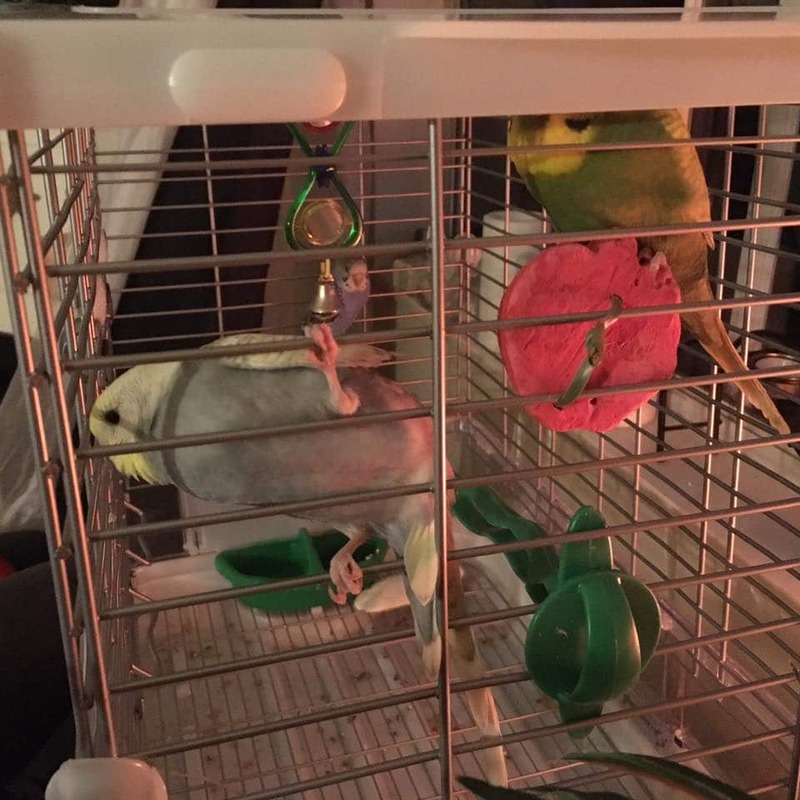 I’m helping some friends out by babysitting their 3 budgies last minute tonight until they can find a new home for them (FREE to a good home by the way, contact me if interested!). Yes I’m a good friend (that or have a hard time saying “NO” to my friends LOL! ). Either way I’m having fun with it but have no clue how to look after them so any advice welcomed. Google has taught me quite a bit the last hour though, YAY! 😉 Here’s a pic of these cuties who so far are fairly quiet but think they are tired too from all the commotion moving them to my place tonight. Back to business here, the past week I’ve been introducing you to all our speakers that will be presenting at our Virtual Assistant Online Conference in less than a week. I’ve really enjoyed tracking down these expert speakers to teach you how to FIND and RETAIN CLIENTS in your VA business. I’d like to introduce our next speaker who was high on my list to nail down and make sure we had her on our roster this #VAVS. Alicia Jay has been a part of my #VAforum network for many years and she is such a pleasure to know and network with online. It’s warmed my heart to watch her business grow over the years into such a success. I’m super proud of all the fantastic and successful Virtual Assistant leaders like Alicia that have passed through our doors over the years. It makes me smile from ear to ear! What will Alicia Jay be speaking about at #VAVS? Are you looking for a way to get more clients for your virtual assistant business? Do you wish you could show prospects just how much they NEED you? Have you heard people talk about having a free offer to entice clients but the thought of creating one is overwhelming? Then this session is for you! 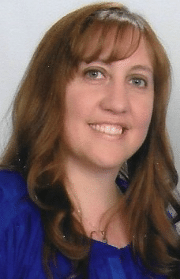 As a business and marketing coach to virtual assistants, Alicia’s passion and purpose is encouraging women to follow their dreams of having a business that works around their lives–not the other way around. Her clients say that she helps put things into perspective and orchestrates a plan to get them moving, while being relatable and supportive. On any given day Alicia can be found gardening, listening to music, working/connecting online, riding on the back of her husband’s Harley or trying to keep up with her on-the-go little boy! Learn more at Check out her website here. 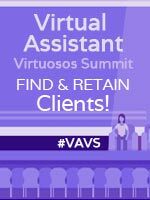 ONLY 7 DAYS LEFT to get your ticket to #VAVS to help you find and retain clients in your service based business in 2016! 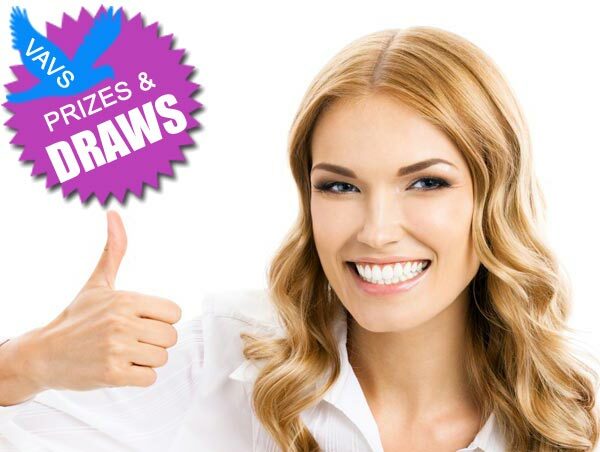 One more Early Bird draw for all ticket holders to WIN and that is access to my Virtual Assistant Career Training Program (valued at $997). Affiliate Disclosure: Sometimes I will recommend products and services I have tried or bought myself and 110% believe in. If you click on my link and buy I may even earn a commission and thank you kindly! The products won’t cost any more because you click my links either. Sometimes I’m even able to negotiate better prices or add bonuses when you click through my affiliate links. It’s a win/win. Want to Become an Affiliate?